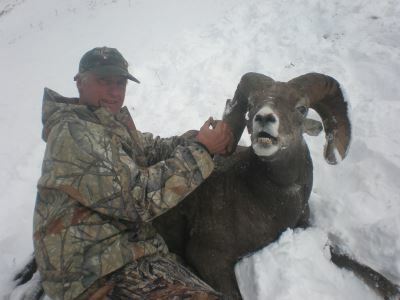 The Rocky Mountain Bighorn Sheep is an incredible animal. Living in tough, rugged terrain, this species of sheep requires the hunter to be in excellent physical and mental condition. The hunt starts off either by foot or horseback, depending on the areas being hunting. Once in the alpine, it is a backpack style hunt, to be able to stay mobile and get to where the sheep are. The season runs from early September to the end of October, with each part of the season offering different opportunities. This means anytime is a good time to be on the mountain.